Kanto and Koshin Regions have officially entered into the "rainy season" or Tsuyu due to the northward movement of Typhoon NESAT. 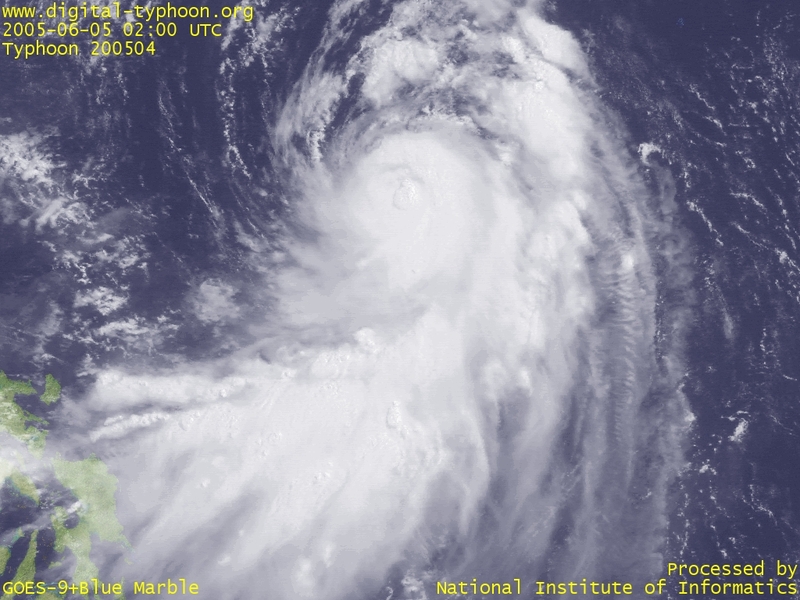 The typhoon itself has weakened significantly and thick clouds around the center have almost disappeared. Typhoon NESAT is increasing its speed into northeast direction, and is expected to draw near to the southern part of Izu Islands if it keeps the current direction. Miyakejima Island, one of islands in the southern part of Izu Islands, has been suffering from the eruption of Oyama volcano since June 2000, and its island-wide evacuation, started soon after the eruption, was lifted just recently in February 2005 after four years and five months of evacuation. The island is now in a recovery process, and this typhoon will be the first one which affects Miyakejima after the evacuation order was lifted. Typhoon NESAT moved a litte westward due to a push from a high-pressure system, but the high-pressure system is gradually moving eastward, and the future track of the typhoon tends to be fixed to northeast direction. The swinging of track forecast by Japan Meteorological Agency for the past few days may be due to day-to-day change in evaluating the effect of this high-pressure system, and it seems they paid careful attention for the frequent adaptation of track forecast. Typhoon NESAT once recovered yesterday afternoon with its spiral clouds, but overall it seems to be in a gradually weakening process. The track forecast is still swinging. 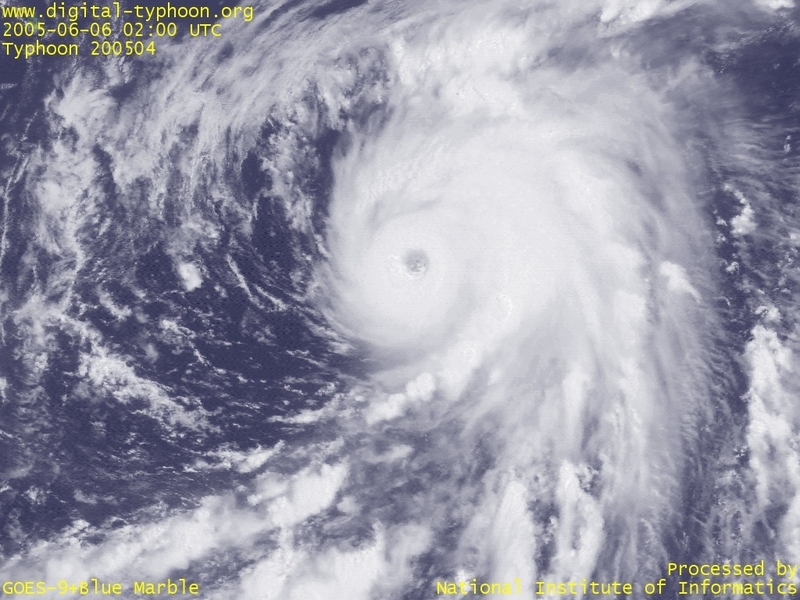 Moving direction of the typhoon is blocked by high pressure systems, so the speed of the typhoon remains slow, and it is still difficult to predict where the typhoon is actually going. 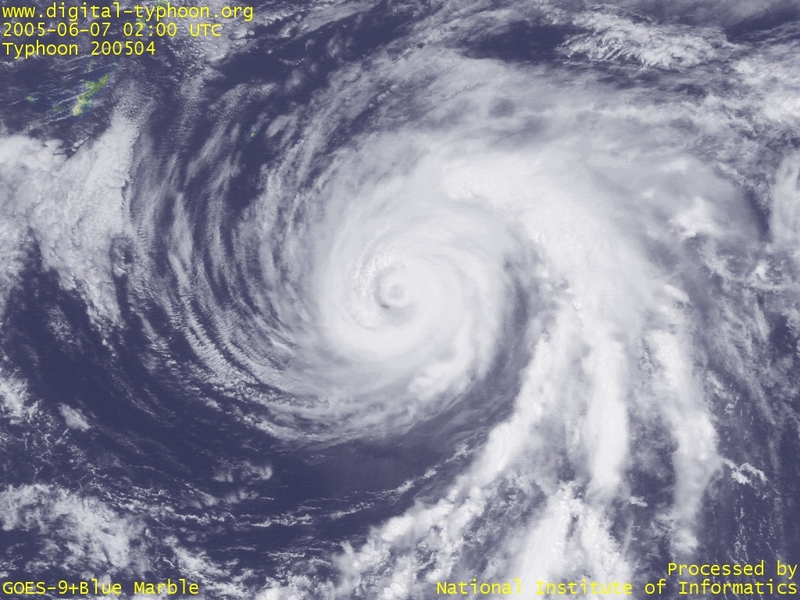 Typhoon NESAT's large eye became visible. Sometimes the eye is magnified when the wind speed near the center is decreased, and it seems the Typhoon NESAT is in that kind of a situation, but it does not seem to weaken rapidly from now. The typhoon may not move northward as far as it was once predicted, but the speed of the typhoon is forecast to be steady, so we need to focus on its movement for a while, especially in Ogasawara. 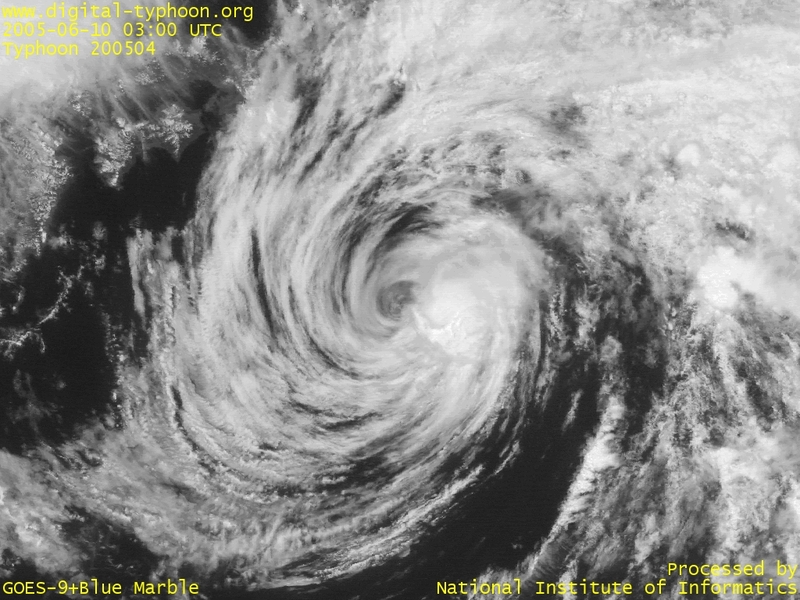 Typhoon NESAT's cloud pattern slightly decreased the degree of momentum. Track forecasts are still swinging and it's too early to predict accurately, but attention should be paid how close the typhoon will approach near Okinawa and Japan mainland. 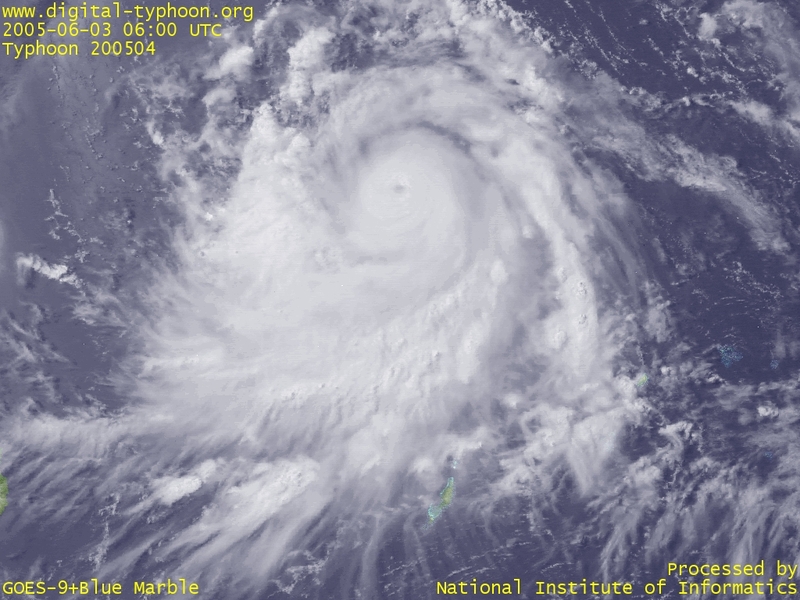 Typhoon NESAT has very thick clouds surrounding the center. 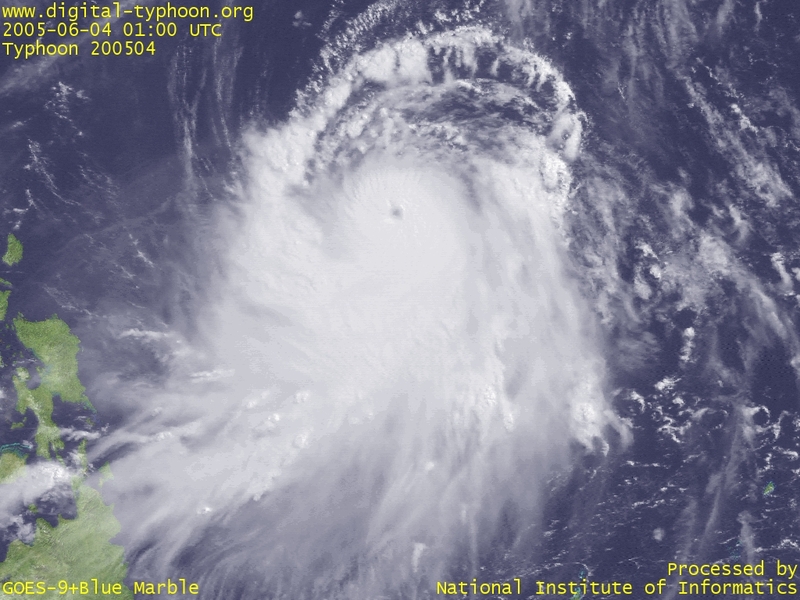 It is deepening again off the coast of Philippines, which is a favorable area for typhoon's intensification. 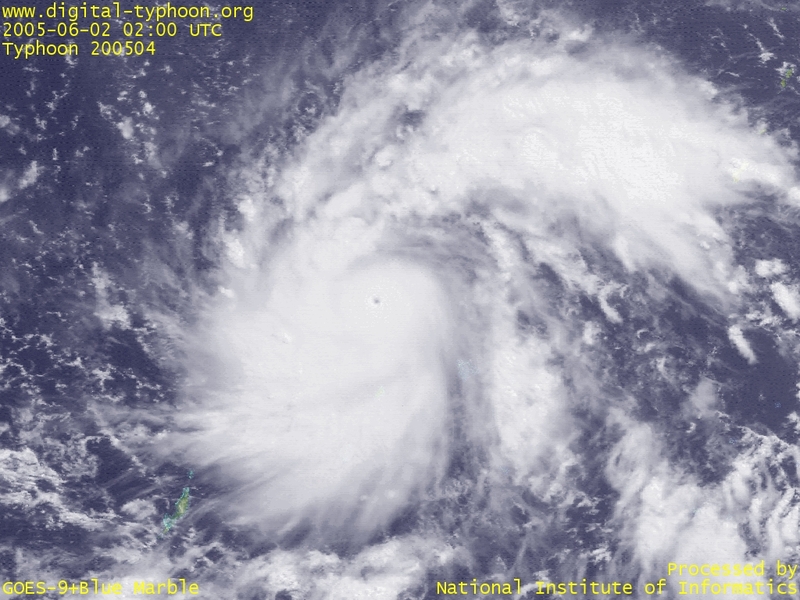 Typhoon NESAT is now in the relatively stable stage in its life, but the forecasts say that it may re-intensify some time in the future. 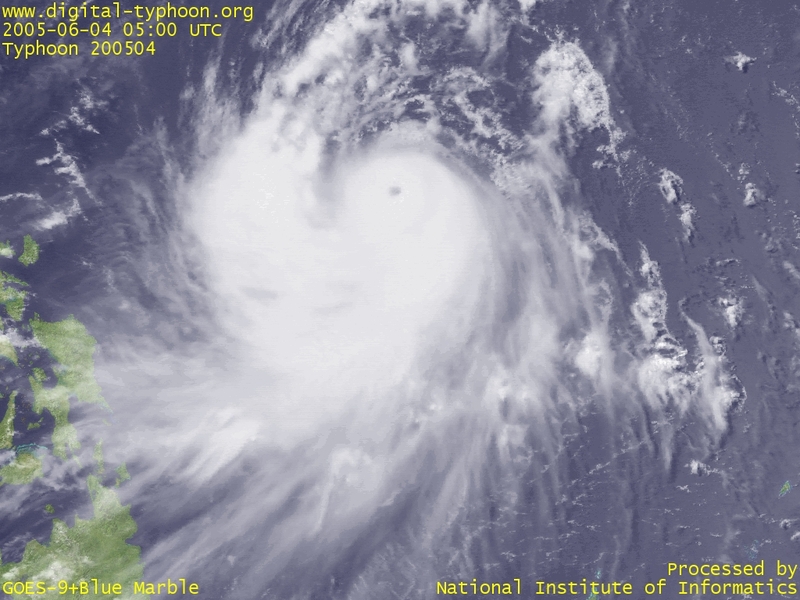 Typhoon NESAT has deepened into a strong-class typhoon just in one day after its birth. It has well-developed spiral clouds and the sharp, clear eye in the center, which suggests its further intensification for the time being. 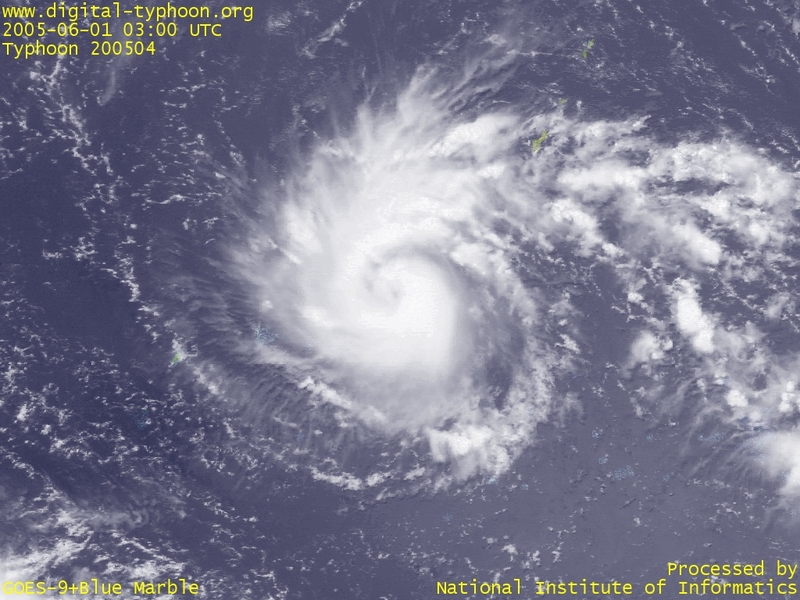 Typhoon NESAT was born in Caroline Islands. 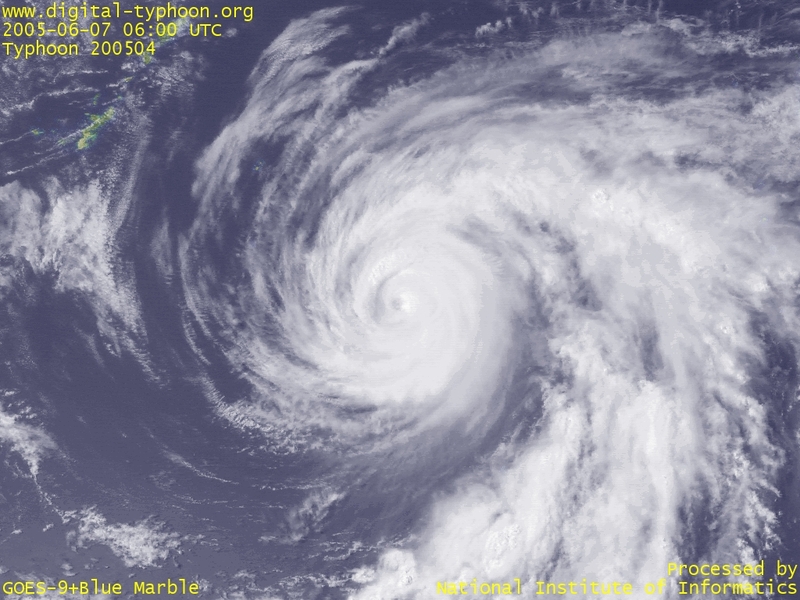 Both Japan Meteorological Agency and Joint Typhoon Warning Center predict the steady intensification of the typhoon. 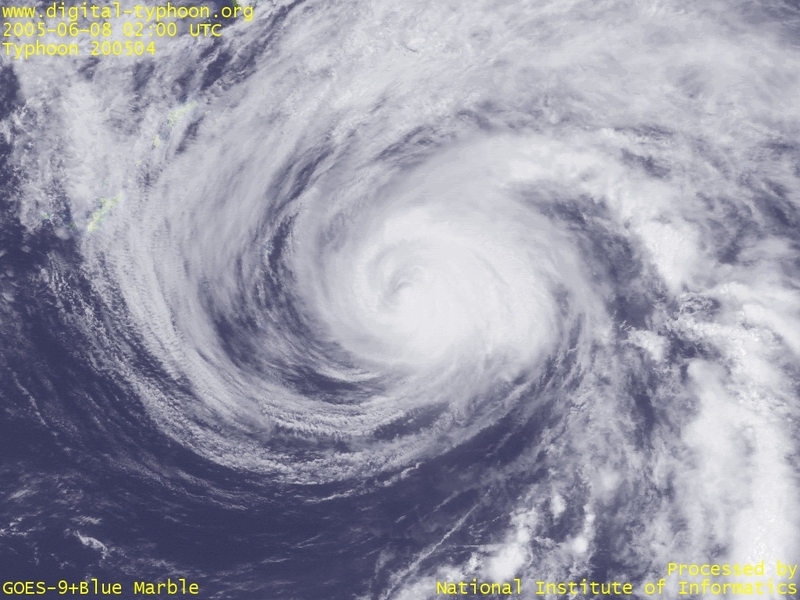 The new meteorological satellite, Himawari-6, which just started its test dissemination yesterday, appeared in good timing and may be used from the beginning for the observation of the typhoon. Unfortunatelly, meteorological satellite images of this site are still from GOES-9. 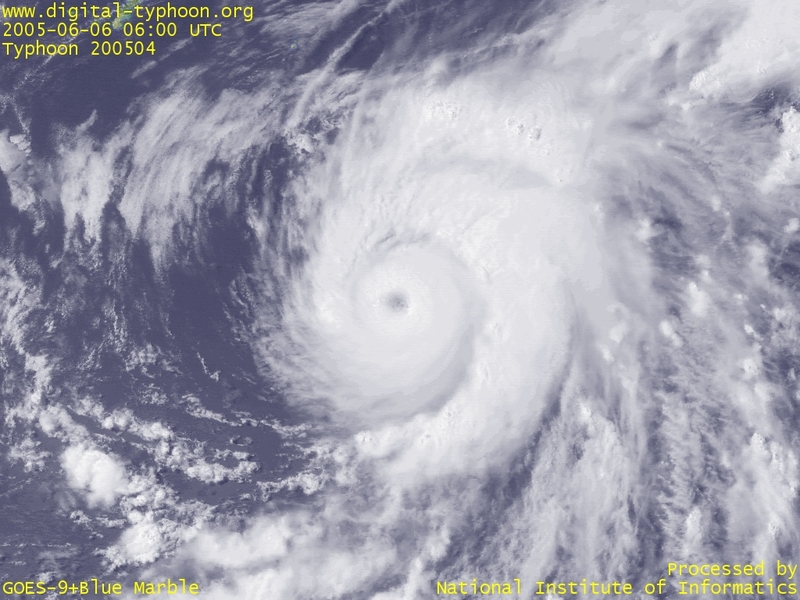 Satellite images of Typhoon Nesat (NASA).